I’ve LOVE cooking in front of a group, making personal appearances and cooking on television. 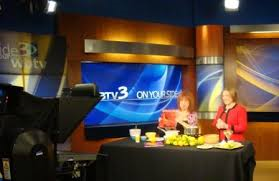 I am quite fortunate to have regular culinary segments on several Charlotte television stations, among them WBTV. 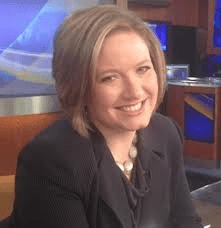 I’ve been cooking on WBTV regularly since 2009 – I used to get up around 4 am to prep and then arrive at the station around 6 am or so in advance of what is usually a 6:20 or 6:30 3 minutes spot, My wonderful husband Tom would always go with me, helping to lug in all the stuff, to set up what sort of kind of looked like a kitchen counter. Even with the early morning hours it was and still is always great fun! A couple of years ago, though, I suggested to the WBTV team that it might be easier if we filmed in my home kitchen. While I still go back to the studio every now and again; now, once a quarter or so, Kristen comes to me, with lights, camera and photographer and we film four cooking spots to air over the next several months. Such was the case last week. Fresh off the recipe planning for my Gluten Free Gourmet class a couple of weeks ago, I decided that this recipe for Gluten Free Banana Pancakes might be a fun way to start – great recipe, perfect for kids to prep and help make if you are looking for family fun in the kitchen; plus use organic bananas and blueberries, local eggs and Charlotte’s own Cloister Honey and its a practically perfect way to start the day or enjoy as a little late afternoon pick me up or after school snack. To spice it up a bit – add one teaspoon to one Tablespoon of your favorite cinnamon from the Savory Spice Shop. 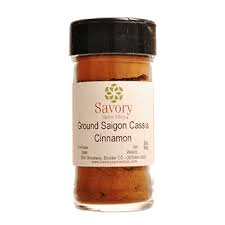 ( I shop at the SouthEnd location in Charlotte and while I mix and match the trio of cinnamons they offer, I have to admit that the spicy but very flavorful Saigon Cassia Ground Cinnamon might be my favorite to add to this recipe. 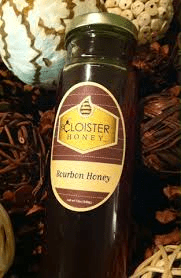 Likewise you could top the pancakes with any sort of honey, but eating local is important to me, so local honey is my syrup of choice; and in this recipe the Cloister Honey Bourbon Honey pairs well; but Cloister’s whipped cinnamon honey, melted down in the microwave would be every bit as delicious . For easy flipping, use a non stick pan and a very thin metal spatula and you are good to go – Here’s the printed recipe and the video for WBTV follows, enjoy! Drop the batter onto a hot non stick fry pan in spoonfuls to make silver dollar sized pancakes. Cook until bubbles form on the top of the pancakes and the edges are firm. Flip with a this spatula to brown the other side.